ON A beautiful autumn day recently it was good to catch up with Jim Squire from Devonport. 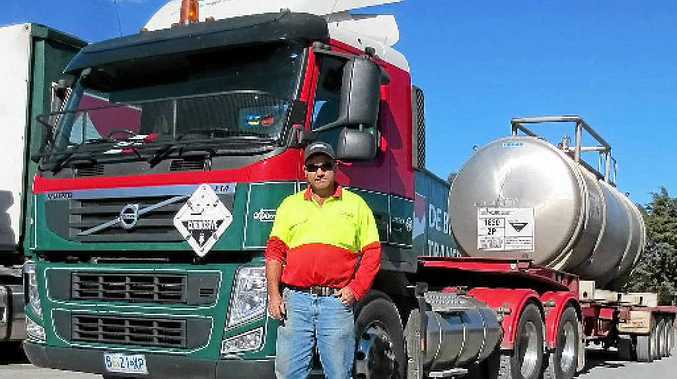 He rolled into Mood Food driving a nice clean De Bruyn's 2011 460 Hp FM Volvo and towing a sulphuric acid tanker home to Devonport from Hobart. He told us this was his regular run five days a week, and that he has been there for 18 good months now and that he is loving it. "It's a great job with a good outfit and a great crew to work with," he said. Throw in a day like this and the Volvo, which is just a pleasure to drive, good tucker and coffee at Mood Food, how could you ask for more?